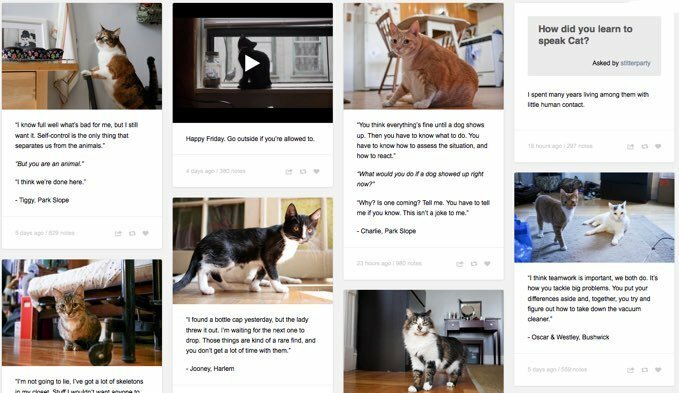 Felines of New York is a blog modeled after the famously popular “Humans of New York” website, but with a twist: only cats of New York are featured in every post. 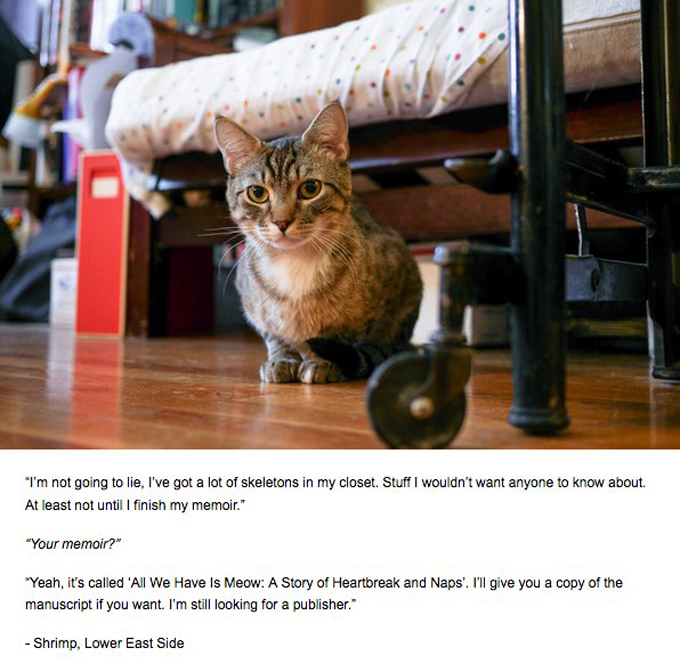 Each post features a cat living in New York, along with a “quote” from the cat about what life is like for the feline. The site was created by Jim Tews, 33, who is now also publishing a book on the same topic, according to IBTimes. 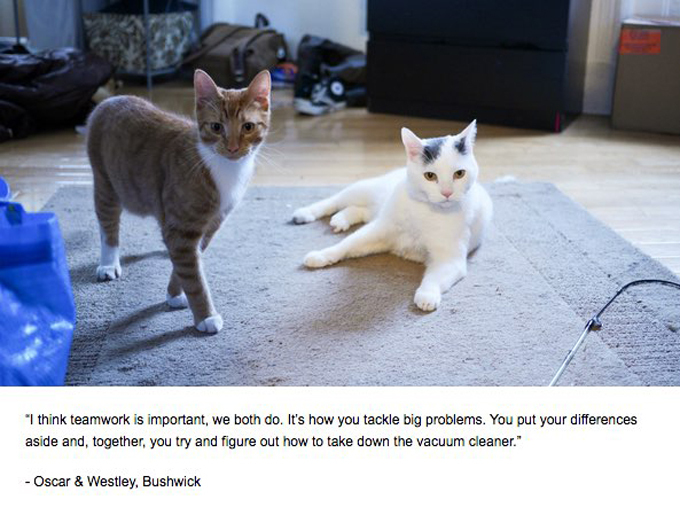 Tews is a comedy writer, so he focused the website on humorous posts about felines’ everyday lives in the Big Apple. 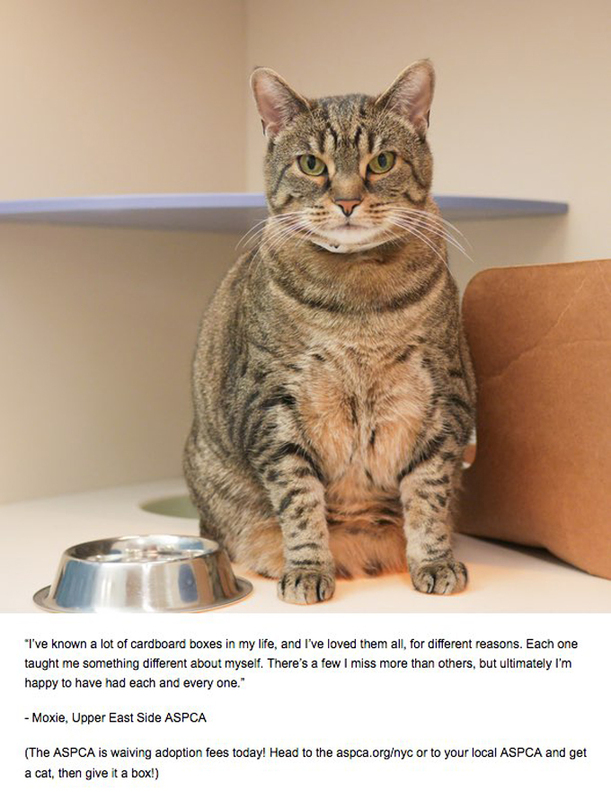 But Felines of New York isn’t just about humor. 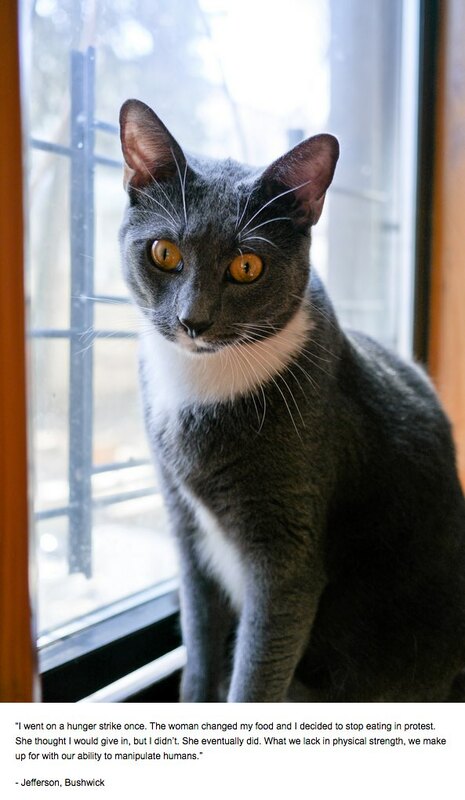 Some of the cat photos feature felines who are available for adoption, along with posts about who to contact in order to adopt the cat. And if a cat goes missing and the owner contacts Tews, he’ll sometimes feature the cat in a special post like this one. Tews also will post about cats who are sick and need donations for their healthcare. 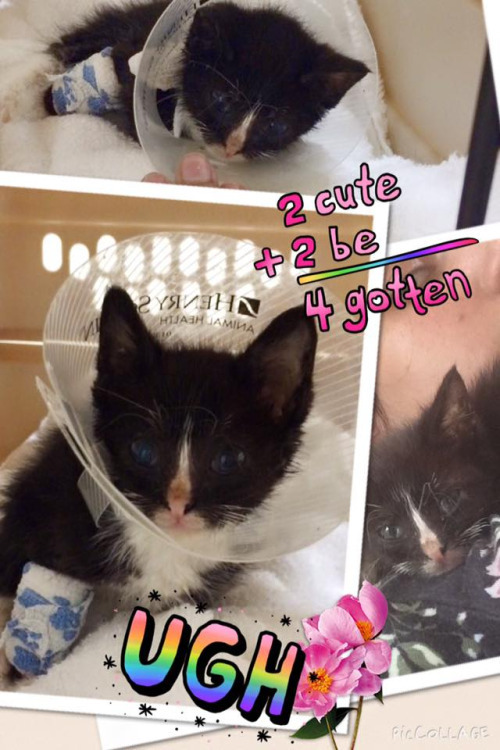 In June, he posted this photo about a nonprofit cat organization that needed donations to help a cat who had complications after an amputation surgery. According to an interview with MTV, Tews started out by just photographing his own cats and using photos that friends sent him. 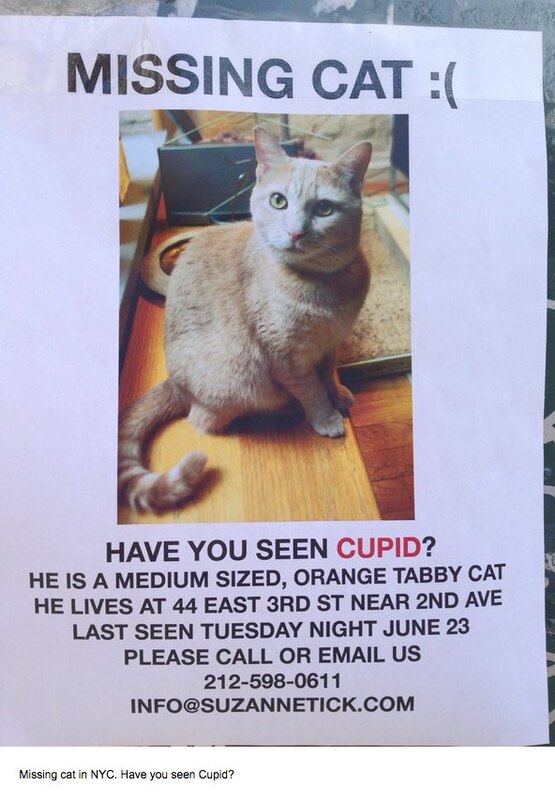 Now people across New York contact him about using photos of their cats. 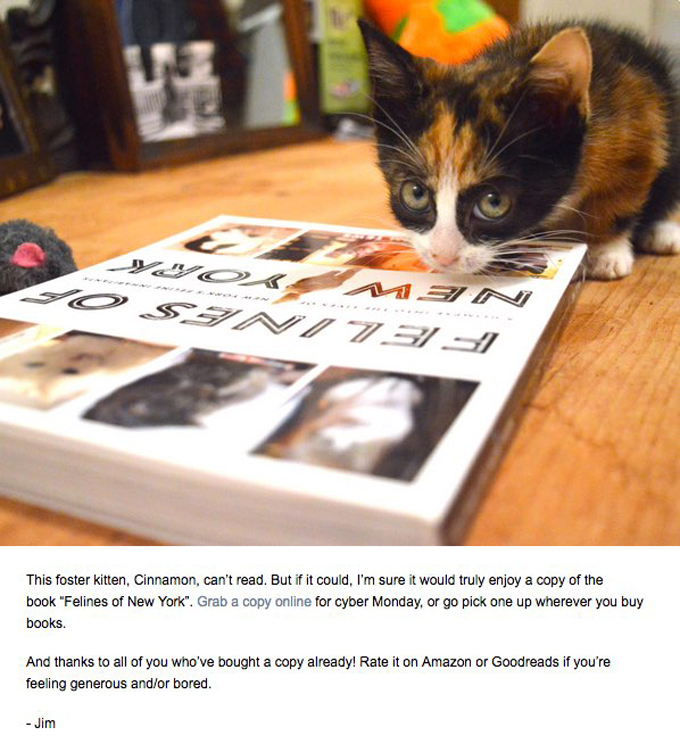 Officially, the Felines of New York website answers the question “Can I send you a picture of my cat?” with the response “Please don’t. Not yet anyway. We don’t even know each other.” But two questions down, under the question “Can I contact you?,” he lists his email address. Tews has said that he is hoping to eventually get a chance to photograph a cat who lives in a mansion.